Ever been on top of the pile? King of the mountain? Doing a good job, recognized by those in authority over you for your hard work and accomplishments? Then your entire team falls apart? That’s exactly where Moses found himself in Exodus 32:11-14. God called an unwilling, adopted, fugitive from Egypt to lead His rescue plan. Day by day, God’s power flowed through him, and he fell in stride alongside the God of Abraham, Isaac and Jacob, leading this enormous multitude of Israelites across the desert to Mt. Sinai, and God protected them by the strength of His hand. At the foot of Mt. Sinai God called Moses to the top floor of His executive suite for a meeting with the Creator and CEO of the Universe. The meeting? Long and eventful for Moses. Not so much for the multitude beneath the cloud line. Moses’ team fell apart in his absence and God was angry. So angry He determined to wipe out the entire nation and begin again with Moses. But Moses chose to stand in the breach for his people before Almighty God without giving one moment’s consideration to the promotion offered. God could have changed His mind and zapped Moses too. This man, so fearful at the beginning of the journey, had seen the power of God and knew he might suffer the consequences of His wrath, but chose to plead for the lives of his insolent, rebellious people. Moses had come to know the Lord God Almighty and the power and witness of His great name. Are you willing to take up the mantle Christ has given you and plead for those who have turned their back on God? Do you know God well enough to stand in the breach before Him for the people and nation of America? Are you willing to consider all Americans worth saving? Worth the emotional and physical deluge it will take to intercede and shield them from the anger and judgment of a righteous God—despite the possible consequences? That’s what Jesus did for you and me. Can we do less? When God looked over Jerusalem in 591 B.C., to find a man who would build up the wall and stand in the gap for His land and His people so that He would not destroy them—He found no man (Ezekiel 22:30). So what do you think God sees when He searches the hearts and minds of His people in the United States of America today? Are you on praying ground? Will you stand in lock step with the principles and precepts of the Word of God? Jesus says if we believe in Him we can ask in His name, according to His will, so that the Father may be glorified in the Son, and know that He will do it (John 14:12-15). Or are you ready to throw rebellious Americans who don’t know Jesus, or who mock Him, under the bus by asking God to judge them. Are you ready to endure the fire with them? How is your own refining/transformation process coming? Ezekiel 23 tells usJerusalem was burned because of lewdness. Know what that means? Indecent, vile, vulgar, unprincipled, base, obscene. God will not tolerate lewdness. Does America have a reason to cringe? You bet. How are you allowing your teens to dress? Especially your girls? Like harlots? How do your business dealings line up with the Word of God? And relationships with your neighbors, do they know you love Jesus by the way you love them? Does anything have a grip on your life? Anything that hides in the dark corners of your heart, that no one sees but God? Are you willing to let these idols go? God is willing to cleanse every sin and give each one of us the strength to become repairers of the wall of His principles and precepts. A wall that is being ripped apart and trampled underfoot. Is it too late for America? God says the shedding of innocent blood pollutes our land. Our only hope is for God to raise up men and women to repair the gaping holes in this wall. Holes that have eroded the foundations of our faith and trust in the Lord God Almighty and His Son Jesus Christ. Holes that have made it legal to kill millions of innocent babies and call it good. And holes that have perverted God’s word about marriage. God said marriage is the union between one man and one woman. And He blessed that union. Dear believer, let your voice be heard. Don’t be deceived into thinking you can abstain from taking a stand in this battle. God said if you’re not for Him, you’re against Him. Please don’t bury your head in the sand. Ezekiel 24 describes the boiling pot of God’s judgment and how Jerusalem suffered in that rusty pot of boiling water that melted them in order to cleanse the land. Will that pot be our choice or will we choose the Refiner’s fire? Are you willing to stand for the complete Truth of God in front of those you work with, your friends, and all those God brings into your sphere of influence so that when they hear you—they hear God’s words. When they see you—they see a true image of the love of Jesus Christ. Are you willing to build the wall and stand in the gap to plead with God to spare this nation—one more time? Does anyone remember when our Federal, State or City leaders indicated their need or desire to seek God’s guidance to steer this nation through the troubled landscape threatening to destroy us? What will you do in the next three-hundred-sixty-seven hours? On 9/11, millions fled into churches in the midst of fear, flames, and the fusillade of blood, crying to God for help and healing. But as soon as the fires were extinguished and the blood washed away they said, “Okay, God. We survived. See ya.” And they ran the other way. Again. Enemies of our Constitution have encouraged and twisted a dichotomy that runs along ethnic, economic, and educational lines in this country. Pitting Americans against each other. America was founded on Judeo/Christian values, one nation, under God. God warns, “a nation divided against itself cannot stand.” We are a nation deeply divided. Am I seeing boogers-in-the-baseboards? I don’t think so. I heard a joke the other day that’s too close to truth to be funny. A TV reporter went into a bar and asked a long-tall Texan to state what he thought were two major problems in America. The cowboy replied, “I don’t know and I don’t care.” The reporter slapped him on the back and said, “That’s right, sir.” Too many Americans find themselves standing with the cowboy. Not knowing nor caring enough to educate themselves about the principles of each candidate running for public office, so they can vote responsibly. The Book of Ezekiel amplifies the similarities between the nation of Judah in 592 B.C. and the United States of America in 2012. And they are frightening. In effect they said, I’m okay, you’re okay. If it feels good do it. But God says, “Woe, to those who call evil good and good evil” (Isaiah 5:20 NAS). In 605 B.C. God sent the nation of His own choosing to capture and carry 10,000 of Judah’s finest into captivity. Nebuchadnezzar, King of Babylon would launch three attacks against Judah which would end with killings, razing and burning the temple and the City of Jerusalem in 585 B.C. In 591 B.C., God gave Ezekiel a list of the choices the Jewish people made that brought His judgment. Do any of these listed abominations and offenses against God occur in America today? God asked those Jews a question. “Can your heart endure, or can your hands be strong in the days that I will deal with you? I, the Lord, have spoken and will act…their way I have brought upon their heads, declares the Lord God” (Ezekiel 22 NAS). Scripture tells us, “God is the same, yesterday and today, yes and forever” (Hebrews 13:8) Are we better than those folks in Jerusalem over two thousand years ago? Will a righteous God judge them and wink at us? God gave a command to the early church “to occupy until Jesus comes.” This command still applies today. What does occupy mean? What does it look like? Instead of occupying, we have clustered ourselves within the walls of the church and shut the doors, hoping to keep the pervasive evil from slithering into our midst. But it has. Why? Because we haven’t occupied the land. We haven’t stood firm, upholding the Statutes and Ordinances of the Word of God. We have compromised, unwilling to come apart and be separate—a holy people of God’s own choosing. There are three-hundred-sixty-seven hours left before Tuesday, November 6th. What will you do with those hours? Pray? Educate yourself according to the Word of God and take a stand? Or will you remain hidden behind the doors of the local church, hoping to survive, just singing louder? “I searched for a man among them who would build up the wall and stand in the gap before Me for the land, so that I would not destroy it; but I found no one” (Ezekiel 22:30 NAS). 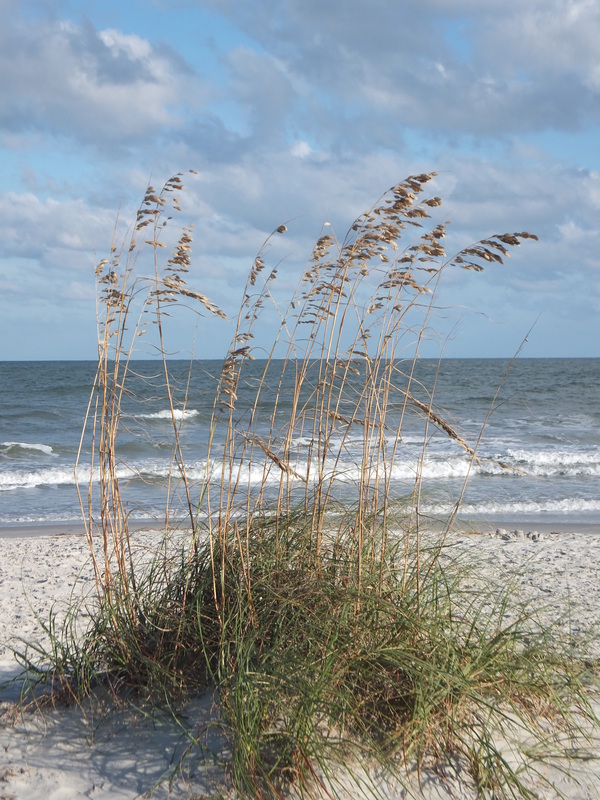 The morning was bright, the tide low, and a gentle breeze stirred along the shoreline. Gulls strutted the water’s edge and my heart soared as patterns of foam danced up the sand while pelicans glided just above the sunlit waves. 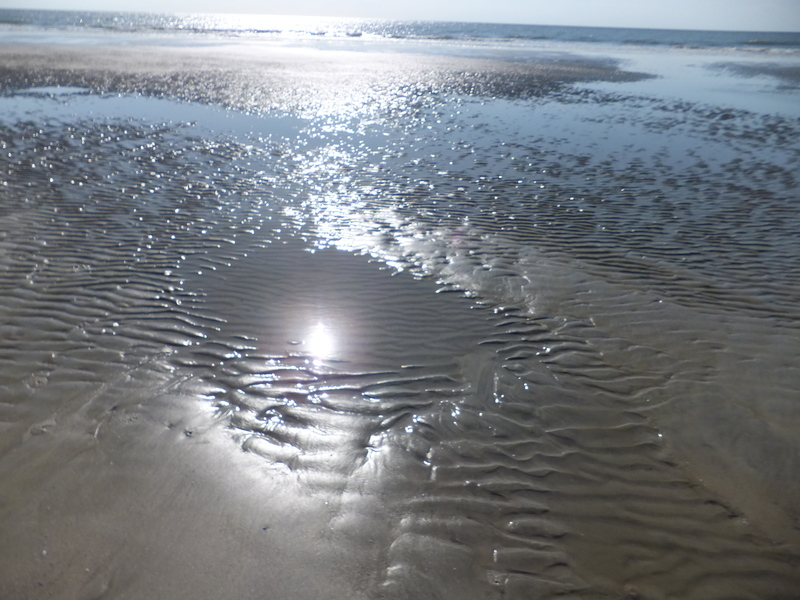 I splashed through the pools of salt-water left along the beach from the receding tide. Some were slim and shallow. Others wide and deep. Various shapes and sizes. Each one cut off from the ocean, left to evaporate as the sun rose and the tide shrunk back to the sea. A glance ahead revealed two shapes lying just inside the ridges of the next tidal pool—starfish—trapped from their retreat along the ocean’s floor. Their source of existence ebbed with each taunting ripple of the next swell. They would bake in the heat of the rising sun and drying sand. Up the beach I found yet another starfish. This one moving, struggling to make its way out of this death trap, but headed in the wrong direction. I reached down, picked it up, and placed it in another inlet that had access to the sea. 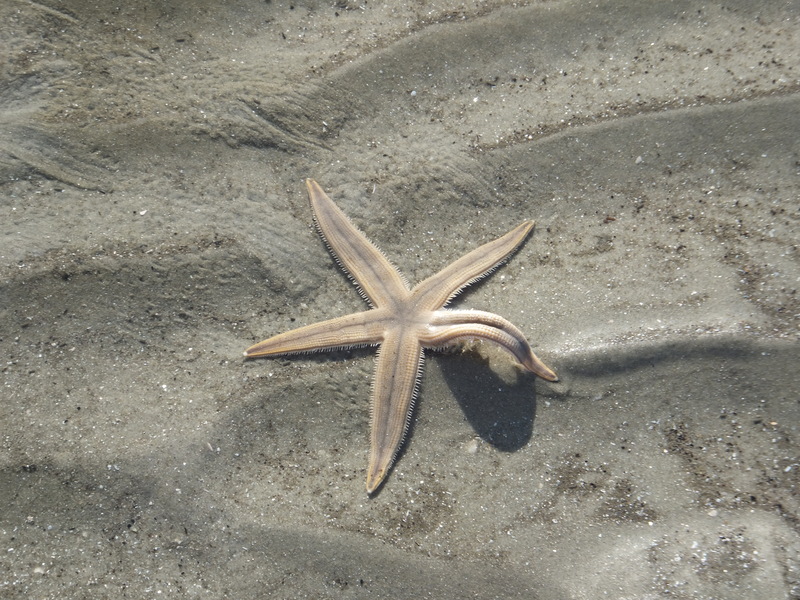 Confused and disoriented, the starfish repeatedly moved the wrong direction. Away from the sea. Away from escape. Away from salvation. What a vivid picture of our painful human condition. We float along in the sea of God’s blessings, showered with good health, financial prosperity, happy marriage, successful children. Then in a moment, we lose our footing in the retreating tide and find ourselves trapped in a pool of ruts and ridges, with inclines so steep we can’t climb out or find our way back into the changing currents of life’s flow. A heart rending diagnosis from the doctor. The loss of a job. A divorce. Children caught up in a rip-tide of drugs, pregnancy, abuse, perhaps even death. What do we do? Where do we turn? Sometimes our solutions lead to greater havoc. Are we doomed to suffer and die in the blistering sun and sand of this journey? Two weeks ago God taught me a valuable lesson about thankfulness. I rode that joy-filled wave until Thursday morning when the phone rang before I got out of bed. There had been a tragic head-on collision in our community. The initial report, two people killed. No word on their identities. I sprang from bed, pulled on my clothes, and called another friend for more information. The need to know, to control, grabbed the instrument panel of my mind. 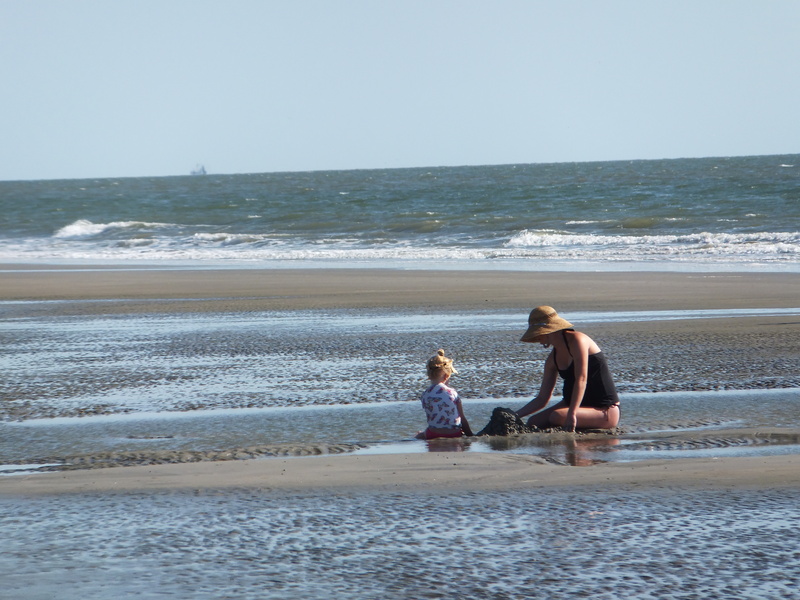 Fear clutched the steering wheel and I careened into the rippled sand and stagnant water of a tide pool. Now when the Lord teaches a lesson, you can expect a test to see if you’ve passed. It’s easy to be thankful in good times, and I should have remembered that Thursday morning. But I succumbed to worry and complaint instead of seeking God’s calming comfort for me and for the families in our community. I failed the test. I rehearsed with friends the terrible statistics of tragedies in our surrounding towns. I recognized it could be a neighbor or a friend. After a number of phone calls, like the tide, the morning ebbed and I was entrenched in this place of unsettled anxiety. Headed the wrong way, but continuing to run. I thrashed my way through the day—talking to friends not to God. Problems multiplied, but still I chose the urgent over the important. Failing to take this burden to my Father in Heaven for His direction, His wisdom, and His peace. 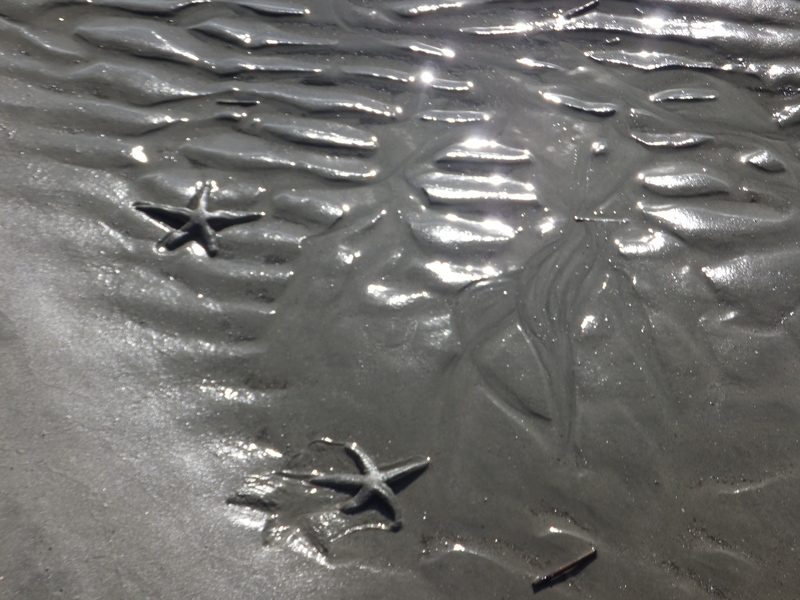 Like those starfishes, I dragged into the evening hours looking for my way out of this place of discontentment. But found no peace. No comfort. That evening, unprepared and in my own strength, I attempted to lead a grief support group. One of our group members has suffered multiple losses. She reported that night the tragedy of another loss. Two of her good friends were killed in a car wreck earlier in the week and a third friend hospitalized with brain damage. She was devastated, thrown back into a murky puddle of loss. Another group member travels the road where the accident happened every day. She calls when she will be unable to attend GriefShare. She didn’t make the meeting Thursday evening and I couldn’t reach her. Still there was no word on the identity of those lost. Fear painted scary pictures in my mind. The tally for our community this week—two tragedies. Five people. Three dead and two hanging in the balances. Five families hurled headlong into tide pools of death and sorrow. At the end of myself my crushed heart was forced to run to Jesus. Finally. I fell before His throne of grace and gave Him my fear, my frustrations and my failures. I humbled myself before our Sovereign God and repented of turning aside to my own way that morning. And because of His faithfulness, the cleansing flood of His forgiving love swept over me and I was restored. His peace and His comfort reigned in my heart. This time I remembered to thank Him. How about you? Do you find yourself lodged in one of these devastating quagmires of ruin? None of us are immune. But God stands ready to deliver you from or carry you through each trial, each test and each tribulation. Remember, He is faithful. Your job? To repent from attempting self-rescue and then cry to Him for help. It’s up to you. God gives you the freedom to choose. You can live in the powerful currents of His love or die trapped in the dried-up tide pools of life. 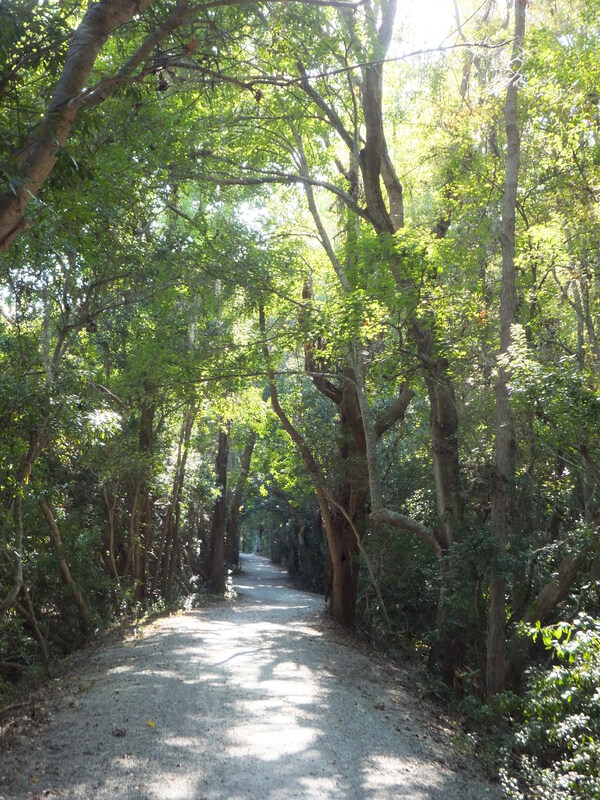 This past week a friend and fellow GriefShare leader recommended a book by author Ann Voskamp, “one thousand gifts.” I bought the book and took it with me to read on vacation. What a life-changer. Ms. Voskamp issued a challenge to make a list of a thousand gifts for which I am thankful. Gifts God gives me each day. Gifts I brush aside or fail to notice. Gifts for which I never say thank you to my loving Father for giving, just because He loves me. 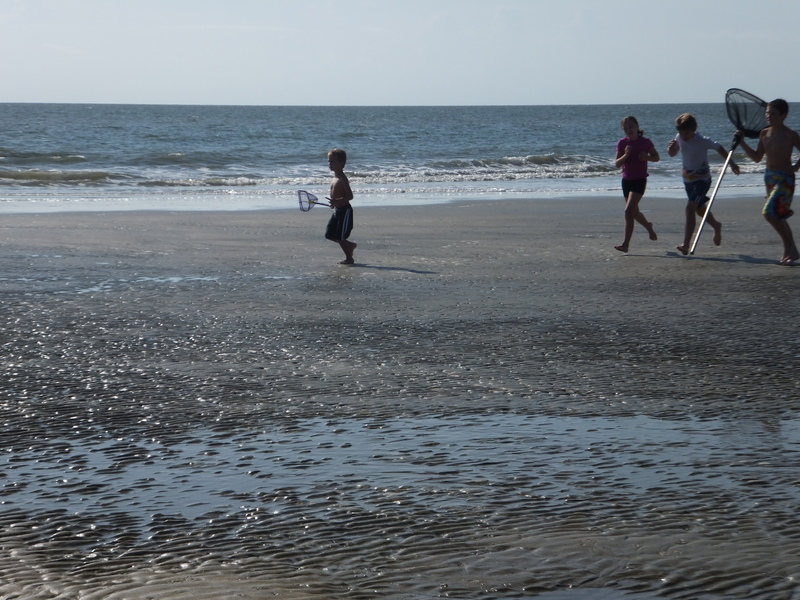 I took Ann’s challenge and this week’s blog will be a compilation of my musings and photos taken while on vacation to Hilton Head Island and Charleston, South Carolina, where I stopped, took notice, and thanked God for these gifts, precious things to me. I pray you too will be compelled to pick up your pen and paper to begin your list. And while you’re out and about, pick up her book at your local bookstore. It’s so worth the read. It will change your life. Let me hear how your list is changing you. 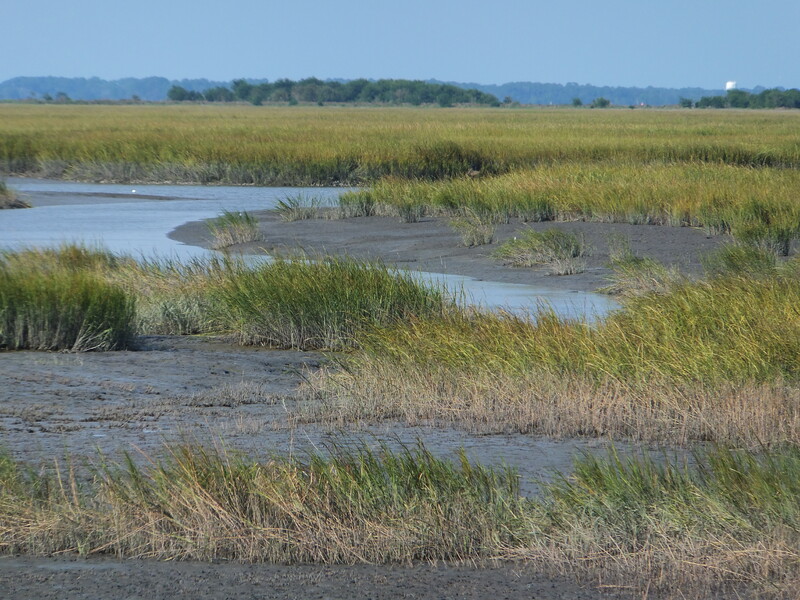 The pungent odor of salt-water marshes that tickle my memories of collecting fiddler-crabs with my Dad. Thank you Father for these brackish swamps filled with life. 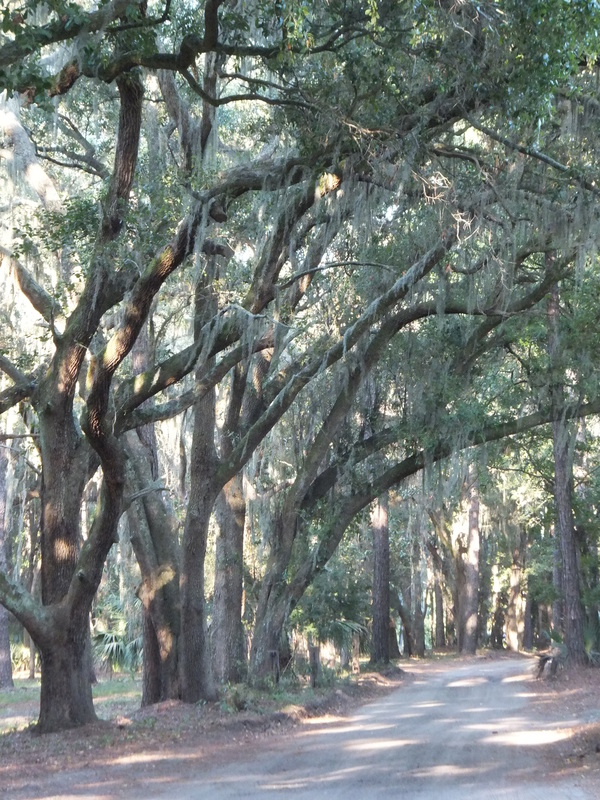 Gray wisps of Spanish moss dangle and swirl from ancient live-oaks like ghosts from ages past. Father, how I’ve missed these giant trees. 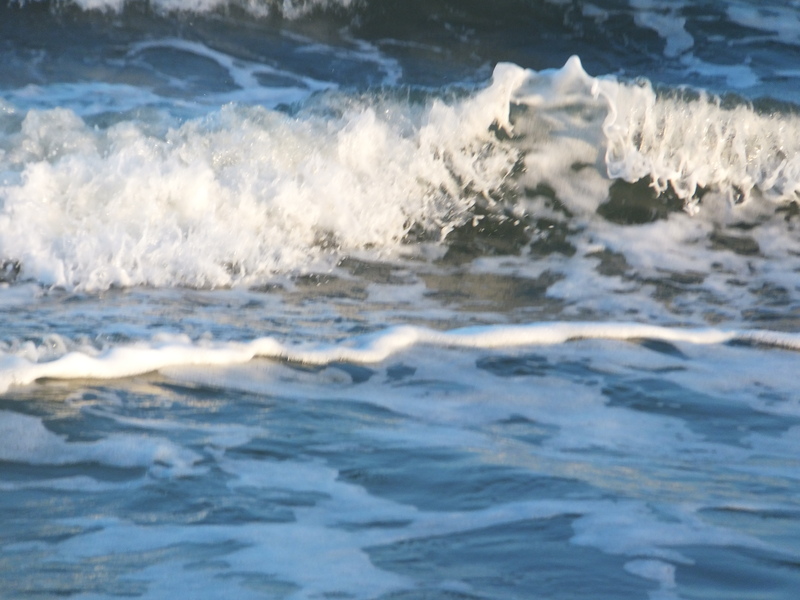 Waves that ripple and race along the shore line then retreat with a whisper to the sea. 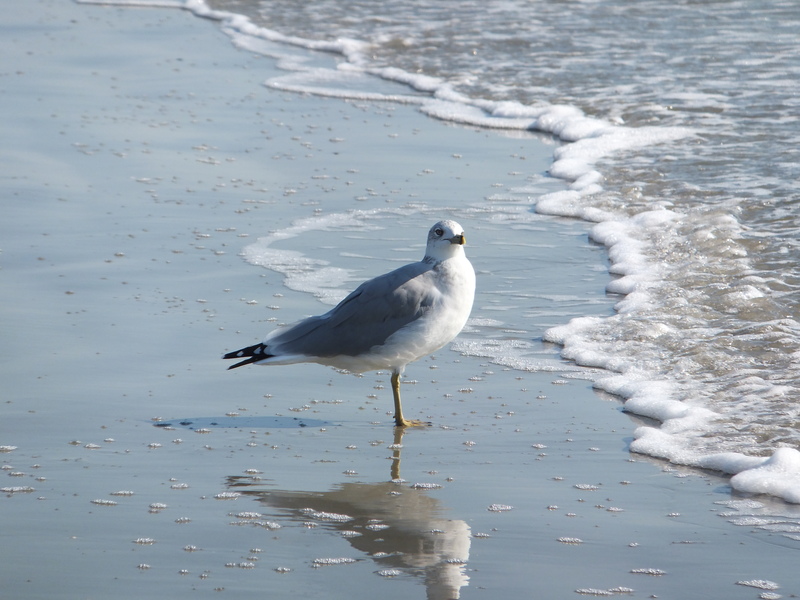 How often I chased them as I grew up along the Florida coast. Thank You for the ocean waves, Father. 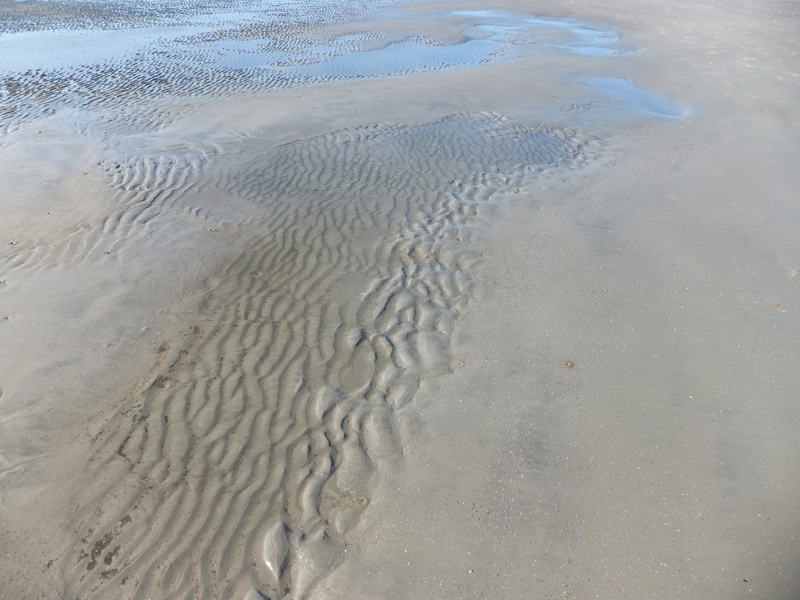 Waves that swell and crest then crash in bursts to weave lacy patterns on the wet beach sand. The power of these currents place an awe in my heart and mind for you, O God. Little girls in pony-tails and ruffled brims. Squeal and splash through ocean pools left in the sand. What precious gifts these children are, Lord. Thank You. Small boys racing, nets in hand, chasing gulls from their place in the sand. The wonder of a freckled-faced boy, Father. Your creation. 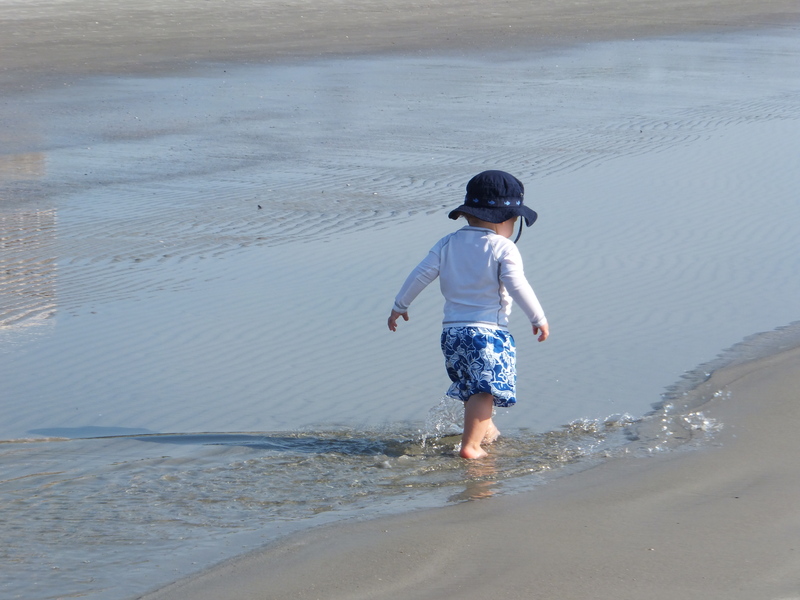 A toddler stomps to see splashes form. Then wiggles his toes in the water so warm. to a puddle where sea and sky collide. God’s silent promise. Dawn. A new day. 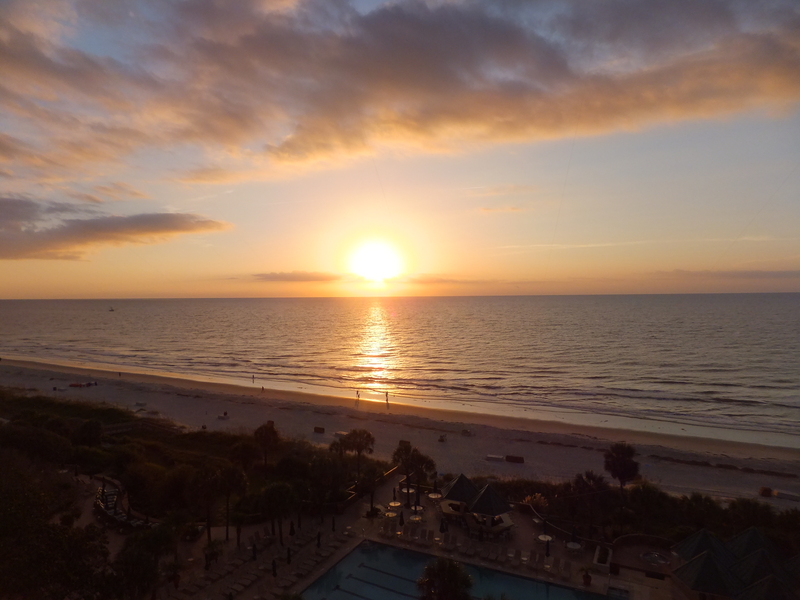 “The Mighty One, God, the Lord, has spoken and summoned the earth from the rising of the sun to its setting. Out of Zion, the perfection of beauty, God has shone forth,” (Psalm 50:1 NAS).